As in previous years, VHFA was the single largest source of funding for affordable rental housing development in the state, including $35 million in tax credit equity and $2.6 million in loans. Those investments went towards 16 different multifamily housing developments, which created or rehabilitated 441 apartments across Vermont. VHFA staff continued to monitor 8,500 existing apartments across the state for program compliance, property maintenance, and safety and affordability for residents. VHFA was also instrumental in generating $37 million in new funding for affordable housing through its role in the issuance of Vermont Property Transfer Tax Revenue Bonds in 2018. These sale of the bonds raising nearly $2 million more than expected before the sale. Proceeds from these bonds are already being put to work across all over the state by our local partners through the Vermont Housing and Conservation Board’s Housing for All initiative. In fiscal year 2018, VHFA financed $70 million in home mortgages to help 433 households move into their own homes. VHFA homebuyers are primarily young families purchasing their first home. 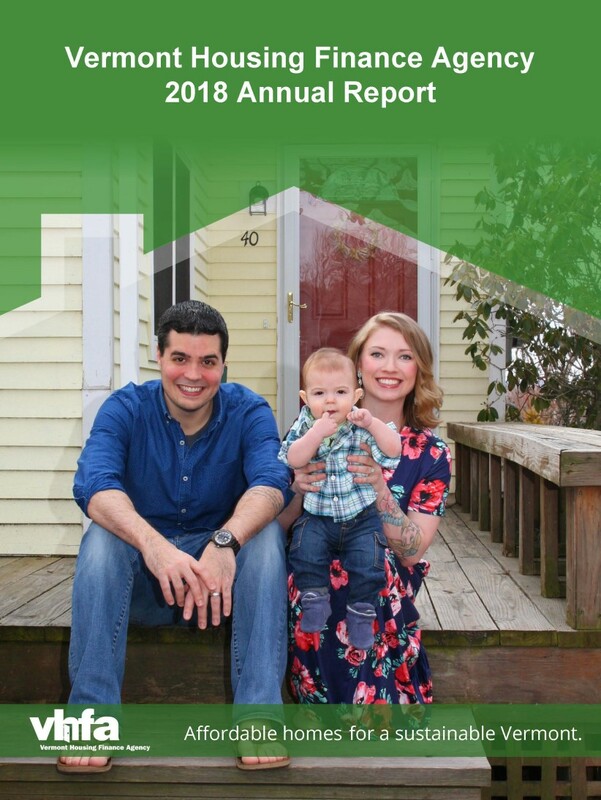 VHFA helps these homebuyers purchase homes with less financial strain through programs like the ASSIST down payment assistance program and other closing cost savings. The dedication and enthusiasm and commitment of VHFA's staff was also celebrated in a number of different areas. For the third year in a row, VHFA was ranked in the top five Best Places to Work among small sized organizations across the state by Vermont Business Magazine. VHFA staff continued to fundraise for United Way of Northwest Vermont, and was honored with its Affinity Award, which recognizes organizations with the highest percentage of participation in their industry sector. VHFA was also recognized by the New England Resident Service Coordinators (NERSC) for its efforts to support excellence in training and education for residence service coordinators. Read the full 2018 Annual Report to learn more about VHFA's work this past year. As part of this effort, we are contacting community leaders all over the state to find out more about local housing challenges, what is happening on the ground, and what resources and support are needed to take the next steps. The short survey is intended for municipal officials, and includes questions about the challenges to meeting local housing needs, and whether or not a town has a housing needs assessment, housing trust fund, or housing committee. Other community members are welcome to use the survey to share their thoughts about local barriers to housing affordability. Thank you for taking a few minutes to complete this survey, or for sending it along to the appropriate person in your town or region. The deadline to complete the survey deadline is January 18, 2019. As Managing Director of Community Development, Leonard will oversee the agency’s rental housing development and management activities as well as supporting the Executive Director in government and community relations and the development of new initiatives. Until recently, Leonard also served as the mayor of the city of Winooski for four years. During his tenure, Leonard was a strong advocate for affordable housing, and Winooski saw many reforms to encourage new development, including revising the Winooski Municipal Master Plan and zoning codes. The U.S. Department of Housing and Urban Development (HUD), has released a contingency plan outlining the status of its programs during the shutdown. Much of HUD funding for multifamily affordable housing is disbursed through local public housing agencies (PHAs), which are not part of the federal government and therefore continue to operate. However, these organizations receive significant federal funding, and may not be able to carry out normal activities in the event that the shutdown lasts for an extended period of time. Under HUD’s plan, HUD staff who process funding for the Office of Housing will work on a limited basis to process payments and contract renewals. However, any new funding actions that require HUD staff involvement cannot be processed during the shutdown. Payments for Tenant-Based Rental Assistance will continue to be disbursed, and Homeless Assistance Grants will continue to be fully funded. HUD will continue to disburse block grant funds (CDBG, HOME) that have already been allocated in prior year budgets. HUD will continue payments for Project-Based Rental Assistance (Section 8, rent supplement, Section 236, and project rental assistance contracts), contingent on the availability of existing funds. According to the National Low Income Housing Coalition, funding for project-based assistance is currently in place for January, but may become uncertain if the shutdown continues into next month. The U.S. Department of Agriculture (USDA) Rural Development (RD) 502 homeownership program is the primary source of government guarantee loans for home purchases in the state of Vermont. During the shutdown, RD will not process new loan requests under the 502 Direct or Guarantee programs. Under USDA’s contingency plan, RD offices at the state level are shut down completely. Vermont also receives funding for multifamily affordable housing through USDA Rural Development programs. The Section 521 Rental Assistance, Section 542 Rural Housing Vouchers will continue until funding is exhausted, however, USDA suggests that a shutdown of more than two weeks is likely to have a “significant impact” on its programs. Despite the substantial wide-reaching challenges the shutdown creates, most VHFA mortgage programs are not affected at this point, and VHFA continues to accept loan reservations. Fannie Mae, Freddie Mac and the Veterans Administration (VA) continue to process home loans. Federal Housing Administration (FHA) loans will continue to be processed, though due to HUD’s reduced staffing, processing of FHA loans may occur more slowly than usual. Although RD will not process new loan requests during the shutdown, VHFA is still receiving reservations for RD guaranteed loans. Vermonters preparing to buy a home with VHFA financing should continue to work with their participating lender, who can best advise them on navigating the approval process during the shutdown. The VHFA single family homeownership program is offered through a network of local lenders. Consumers apply for a VHFA mortgage program directly with those lenders. 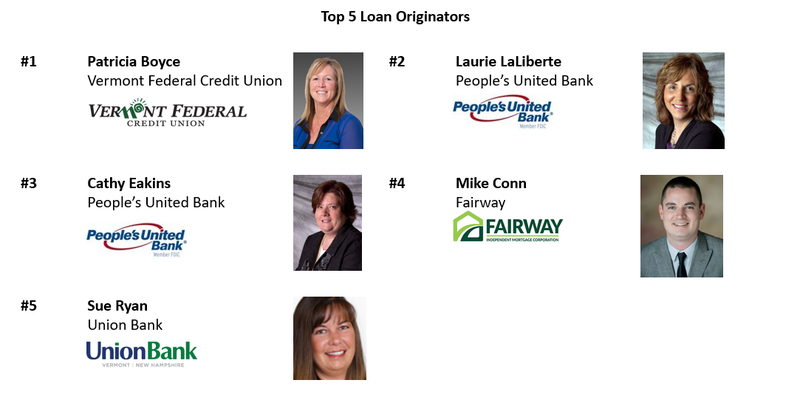 VHFA celebrates all of our participating lenders who share VHFA's commitment to helping low to moderate income Vermont households achieve homeownership. For a complete list of VHFA participating lenders please access http://www.vhfa.org/homebuyers/lenders.